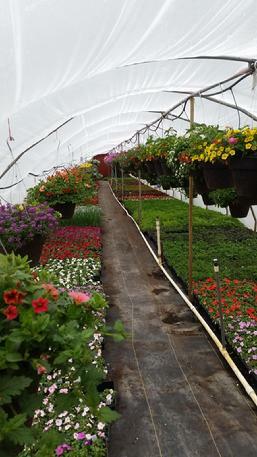 We specialize in growing beautiful plants. 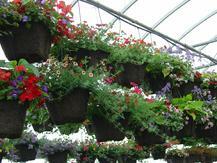 Take a drive to our nursery for the best selection in annuals, perennials, roses, and hanging baskets. Whether you need just a few plants or hundreds, Miller's Country Gardens has what you need to help make your landscape the talk of the town. 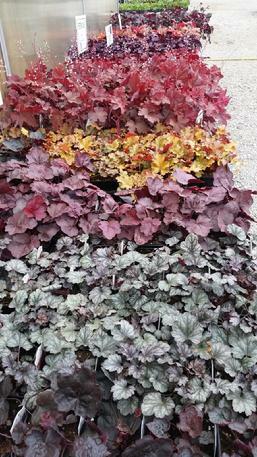 Thousands of annuals and perennials to choose from. Yea, Farmer Dale grows it. 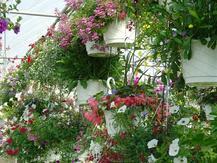 Thousands of beautiful flowers to enhance your landscape. 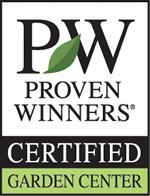 MILLER'S COUNTRY GARDENS IS A PROVEN WINNERS CERTIFIED GARDEN CENTER. 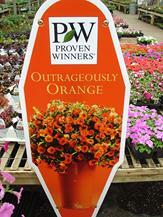 PROVEN WINNERS, AN INTERNATIONAL MARKETING COOPERATIVE COMPRISED OF SOME OF THE BEST PROPAGATORS, IS DEDICATED TO DEVELOPING NEW HYBRID COLOR VARIETIES THAT WILL PERFORM WELL FOR BOTH THE GROWER AND CONSUMER. 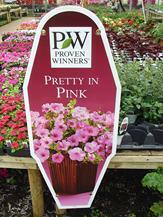 PROVEN WINNERS ARE NOTED AS THE BEST, MOST UNIQUE, HIGH PERFORMING PLANTS AVAILABLE. 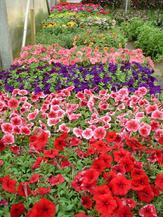 MILLER'S COUNTRY GARDENS CARRIES A LARGE SELECTION OF PROVEN WINNERS. 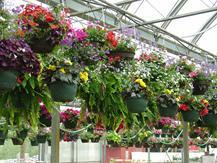 WE ALSO CARRY PROVEN SELECTIONS WHICH CONSIST OF REGIONAL FAVORITE VARIETIES. 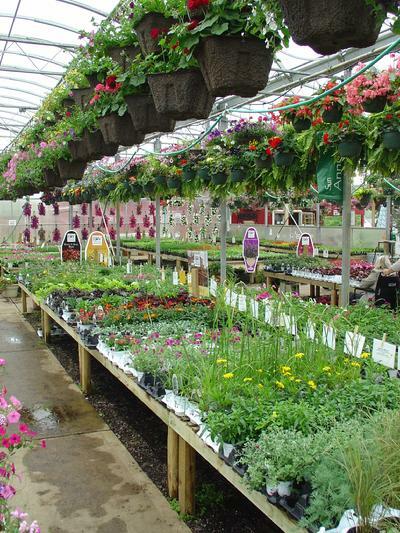 BE SURE TO ASK TO SEE THE PROVEN WINNERS AND PROVEN SELECTIONS AT OUR GARDEN CENTER. 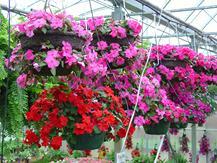 We have lots of colorful hanging baskets. Each basket gets individual attention from our certified nursery specialist to make sure that they are very healthy and full of beautiful flowers. Our garden center also has a large selection of bulk seeds, onion sets, seed potatoes, top soil, a variety of mulches and other garden supplies. 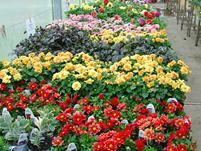 Did you know that we carry over 20 different varieties of potted and bedding geraniums? We now have pottery, twig furniture, lawn and garden ornaments, windchimes, bird baths and other garden knick knacks. You will be able to find just the right gift for your favorite gardener. Along with the many varieties of flowering bedding plants that we offer, we also carry numerous vegetable plants such as tomato, pepper, melon, cucumber, broccoli, cauliflower and cabbage plants. And don't forget our excellent selection of culinary and medicinal herbs. Gardening questions? E-mail us. Click here to access "OHIOLINE" by the Ohio State University. SEE OUR SELECTION OF POTTERY, CONCRETE GARDEN STATUES, AND OTHER GARDEN ACCESSORIES TO COMPLEMENT YOUR LANDSCAPING.